Blame it on my Brit roots. I love pretty much *anything* with the Union Jack. These pillows would look fab on my raspberry-hued sofa. It's true. The Union Jack makes anything look good. 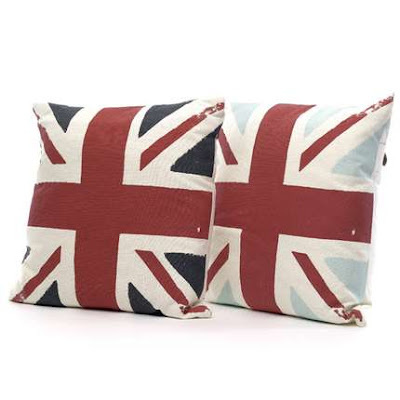 These would look lovely with the piece of furniture I am going to paint the Union Jack on shortly. What a find!